At Low Impact, the key word is respect. It sums up our entire safety program. Respect yourself, your coworkers, your customers, your equipment and your environment. Safety is a big part of everything we do. 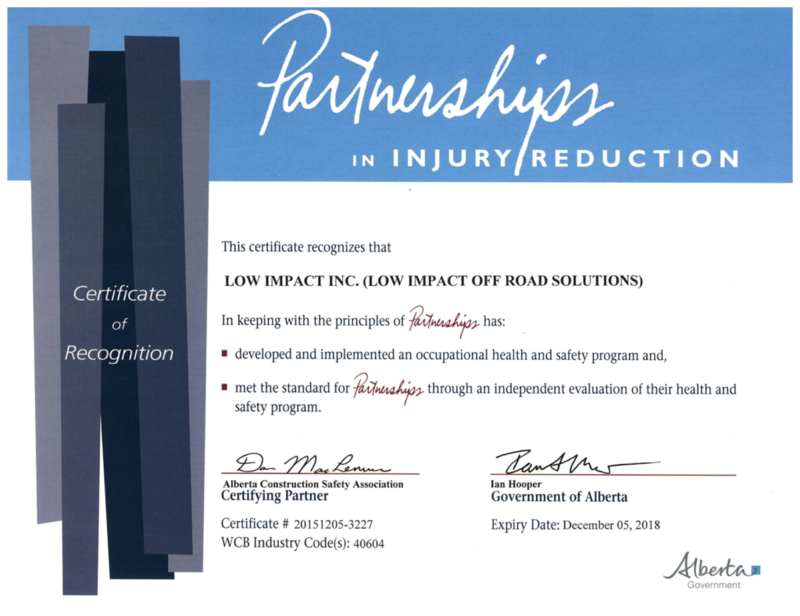 Low Impact is committed to conducting our business in a manner that ensures the health and safety of our employees, contractors, clients and the public. Low Impact is committed to respecting and preserving our environment with every action we take. All of our machines are rebuilt right. They are designed to be safe. 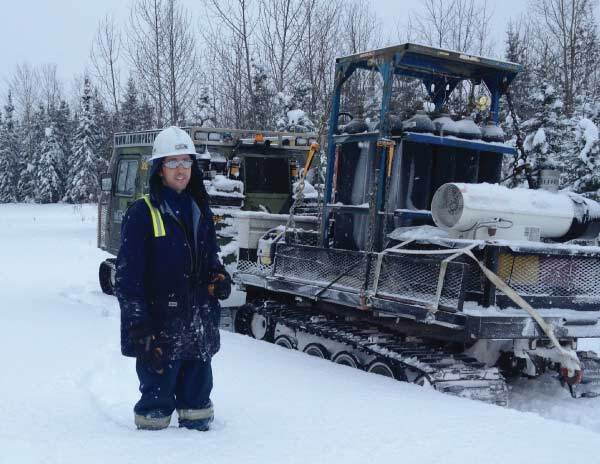 Our machines are incredibly stable thanks to their four articulating track design. Our cabs are customized for comfort and tested during long hours of work and adventure. If in the rare event the machine were to sink, they are equipped with an escape hatch for the driver and crew. 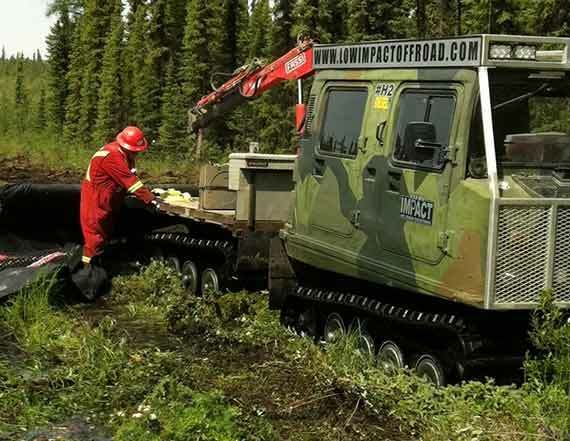 These machines are trusted around the world by the military and people just like you to get the work done safely and efficiently.